May | 2016 | Building Solutions. The seating that you choose for your Worship space is very personal, and the choices are numerous: fixed or moveable; chairs, pews or theater seats; with arms, or not; etc, etc, etc. However, the layout of the seating may be the most important. Most churches in today’s economy will direct us to maximize the number of people that can be seated for worship. Maximizing seating can be achieved in three ways: Using smaller chairs, spacing the chairs closer together in tighter rows, and minimizing the common aisle widths that lead to the room’s exits. Moveable chairs are commonly used and come in a variety of widths and depths. For the purpose of this article, we’ll use a common 21” deep movable chair. Maximizing the people means minimizing the space in the row between the seats. When simplifying the building code requirements, the minimum spacing required is 12” from back of seat to front of the seat behind. That 12” represents the minimum seating aisle. As you can see in the graphic below and when using a seat depth of 21”, a 36” row spacing produces an aisle of 15”. The overwhelming majority of churches use this spacing. Some may find that an aisle of 15” may be “too tight”. A spacing that is starting to be used more frequently by churches is 42” from back to back of the seat. As you can see in the graphic, a 42” spacing produces an aisle of 21”. The extra 6” will feel more comfortable for people that are passing those already seated, but every action creates a reaction. T&W Church Solutions recently designed and built for a church that had this exact decision to make. The project included a complete re-purposing of an existing church facility which included flattening a sloped floor and rotating the platform 90 degrees for their contemporary and multi-layout worship style. You can see that the existing condition seating layout, with pews at 36” spacing and code minimum aisles, provided for 494, 21” seats in the Worship area. The proposed maximum seating solution layout, with moveable chairs at 36” spacing and code minimum aisles, provided for 470, 21” seats. The proposed maximum seating solution at 42” spacing provided for 350, 21” seats. The challenge to be aware of is IF the 36” spacing with the 15” aisle feels too tight, what does a 42” spacing with the 21” aisle do to the number of seats in the space OR how much larger will we need to make your facility to accommodate the desired number of seats? In this example, the choice was to have 42” spacing with approximately 21” aisles, at the expense of less seats in the space. Since the project was a renovation project, the option to expand the worship area to accommodate additional seating was not a cost effective option. The result of the decision was a reduction in possible seats of 120, from 470 to 350. If expansion of the existing space were feasible to maintain the 470 seats, that result would have been an addition of 1,310 square feet. A common question posed boils down to cost per seat. Again, using the above example and using the industry average cost for new construction of $125 per square foot, let’s do the math. Every church is unique, every church’s style of worship is unique, and every church’s seating proximity and aisle width comfort is unique. The cost of building places of worship continues to go up. The church’s consideration of seating layout and spacing is not only a comfort driven decision, it is also has a cost component to it as well. As you begin the Adventure of designing and building your place of worship, please keep seating layout in the forefront of your mind. Layout several rows in your existing space with the 36” spacing, 42” spacing, or any spacing between, and see what feels the most comfortable to you then clearly convey that to the Design Team. The Worship Experience is crucial. Seating can, and will, have an impact on that Experience. Kurt Williams, NACDB CCC, LEED AP, is a Design/Build veteran at T&W Church Solutions (www.tw-church.com) with over 25 years in the industry, 20 of those years guiding over 100 churches through the various stages of Planning, Designing and Building their new facilities. 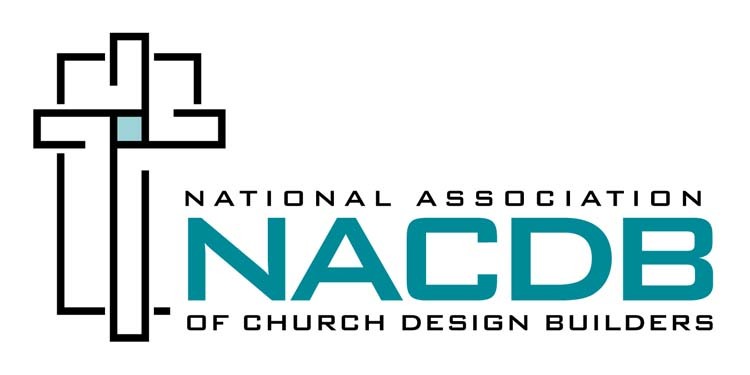 T&W Church Solutions is a Design/Build firm who partners with ministry-focused architects to serve the churches of Central Indiana as well as the only NACDB (National Association of Church Design Builders) Certified Firm in Central Indiana. Kurt can be reached at kwilliams@twcorp.net.